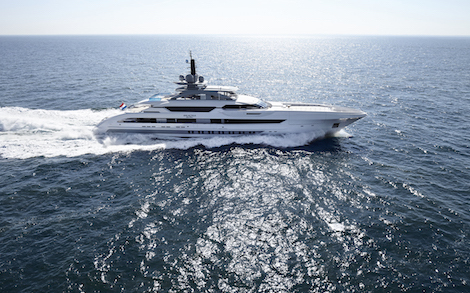 Heesen has announced that the new 70m superyacht Galactica Super Nova has been delivered to her owner following an intensive period of sea trials in the North Sea. The all-aluminium 70m superyacht Galactica Super Nova fast displacement superyacht is the largest vessel the Dutch shipyard has completed to date. Having been sold in December 2013, Galactica Super Nova was engineered by Heesen’s in-house specialists in collaboration with Dutch naval architects Van Oossanen, who devised the revolutionary Fast Displacement Hull Form, which has characterised a number of Heesen vessels. Overall the entire process took 41 months. 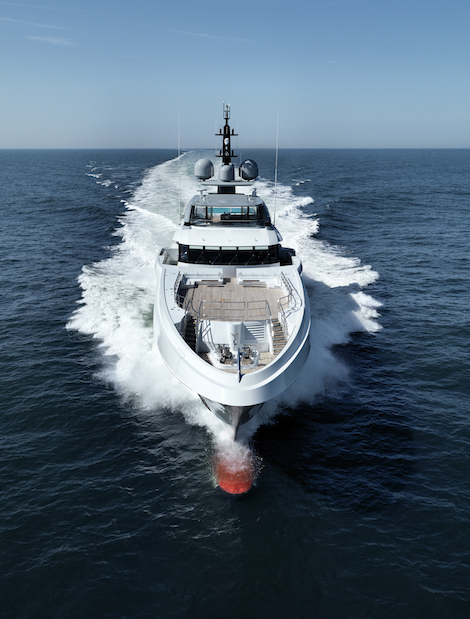 Galactica Super Nova’s sea trials were conducted over four days at the end of April. 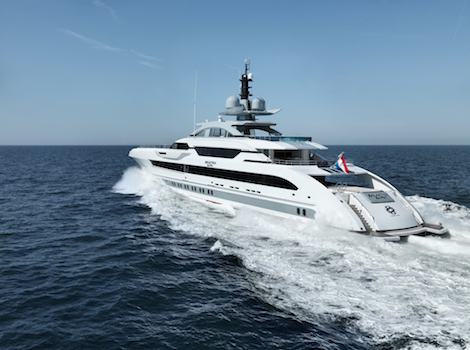 Heesen has reported good weather conditions throughout the duration of the trialling period, which was executed successfully. 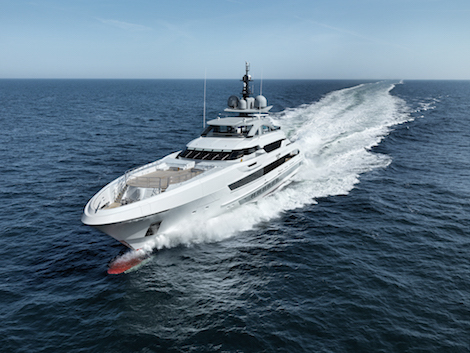 Furthermore, the 70m superyacht exceeded her contractual speed of 30 knots by 0.3 knots, as a result of Van Oosanen’s innovative hull form in addition to the twin MTU wing engines with fixed pitch propellers and a third central engine with Rolls Royce booster jet. "Like her predecessor, Galactica Super Nova behaved superbly on sea trials. The contractual requirements were comfortably met and even on very high speeds, the ride was still smooth and never uncomfortable", comments Perry Van Oossanen. He continues, "The propulsion layout, using fixed pitch propellers in combination with a booster jet is relatively simple and very easy to operate. It can be applied on any scale and in combination with the Fast Displacement Hull, the extra power is translated into speed very efficiently. We believe this successful and groundbreaking yacht will open up new doors for high performance yachts, and Heesen is again pioneering this innovation". The striking exteriors of Galactica Super Nova have been designed by world-renowned superyacht designer Espen Øino, who worked on a pre-established technical platform provided by Heesen. Galactica Super Nova is, in fact, the 93rd superyacht delivered by Heesen in only 33 years meaning that, on average, Heesen has delivered 2.8 superyachts per annum. Furthermore, since 2000, Heesen has made an average of four deliveries per annum. Heesen has made at least one delivery every year since 1990, which is a staggering achievement and a rare occurrence among even the world's leading superyacht builders. The delivery of this 70m superyacht marks an important point in the shipyard’s history and underlines Hessen’s prominent position in the large yacht market as one of the few shipyards that can demonstrate consistency within the volatile superyacht market place. Galactica Super Nova will make her debut this September at the Monaco Yacht Show following a busy summer season in the Mediterranean. Here the superyacht community will have the chance to view the interiors designed by Sinot Yacht Design.